Everyone knows that college life is rough, especially at a high esteem place like Wallace University. You’ve got to compete with other pledges to get ahead during Rush Week—Kappa Kappa Tau only takes the best of the best, after all. It is a real challenge to stand up and be seen in a sea of so many talented and beautiful peers! And, there are the classes, too… we suppose. But, there is one position in the campus world that is even more taxing than all the others: the abandoned school mascot! What a crime!? As if the Red Devil wasn’t a fantastic image, they went and betrayed you for, what, a weird ice cream man!? 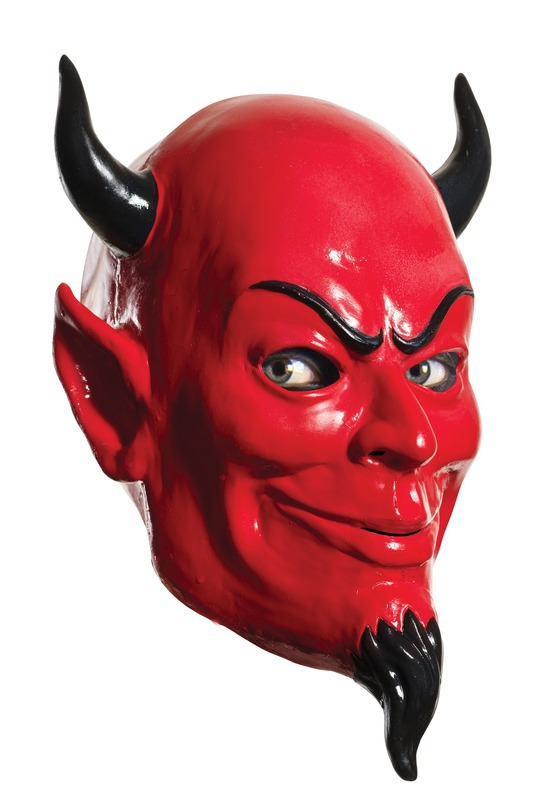 It is time for revenge and you can do it with a smile in this Adult Scream Queens Overhead Devil Mask. Let the whole campus know that they had a good thing, once, and keep your chip up the whole time with this eerie and unwavering smile. You won’t even need to go as far as murder as the frightening pranks you can pull will make their hearts skip a beat and spook the breath right out of them!